The Anglo-Dutch group Shell is on the verge of ending its participation in the exploration of the Mukhaizna oil field in Oman and has put its shares in the field on sale, reports say. 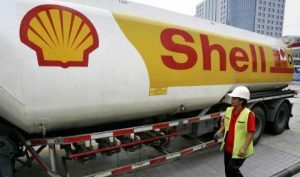 Shell is owner of 17 cent of the stakes dominated by Occidental Petroleum which operates the field. The sale process is led by investment bank Rothschild. The operation could provide the group the sum of $200m. The oil company acquired the stakes in 2005 after the group of companies signed with the Sultanate a deal to run field. Mukhaizna oil field is endowed with heavy oil and yearly output in 2016 reached 127,000 barrels of oil equivalent according to figures by Occidental Petroleum. Despite plans to end its participation in Mukhaizna, Shell is still present in Oman through Petroleum Development Oman (PDO) in which it holds 34 per cent of shares. PDO controls more than 160 oil fields located in the center and in the south of the country. The Sultanate is non-member of the Organization of Petroleum Exporting Countries (OPEC). Posted by KanelkaTagba on Oct 11 2017. Filed under Energy, Headlines. You can follow any responses to this entry through the RSS 2.0. Both comments and pings are currently closed.